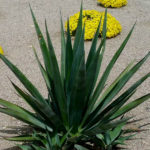 Agave sisalana is a perennial succulent plant, up to 6 feet (2 m) tall with short stem and sword-shaped leaves extending from basal rosette. 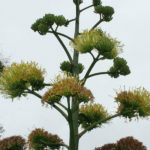 The leaves are up to 4 inches (10 cm) wide and up to 5 feet (1.5 m) long with sharp dark brown spine at end, grey-green in color. 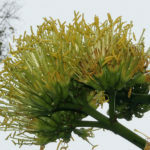 A branched inflorescence forms atop a flower stalk up to 30 feet (9 m) tall with yellowish-green flowers up to 3 inches (7.5 cm) wide. 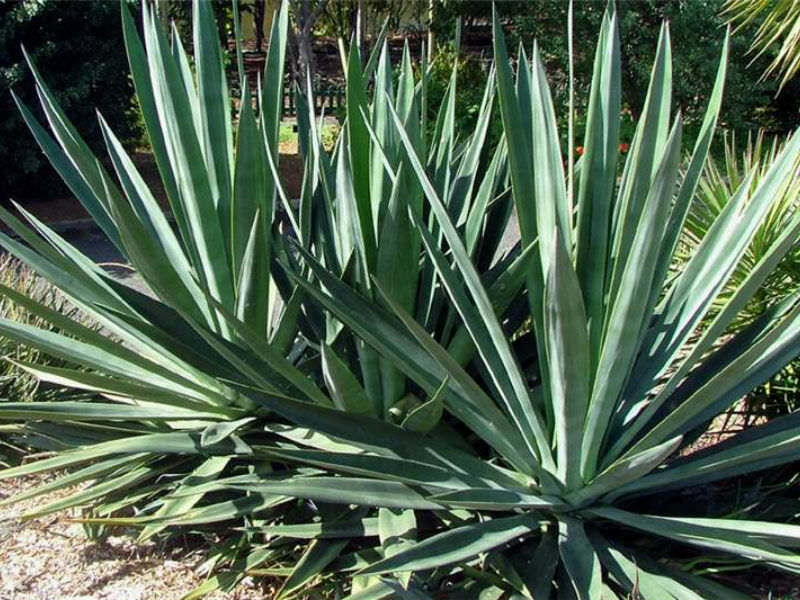 Native to southern Mexico but widely cultivated and naturalized in many other countries.